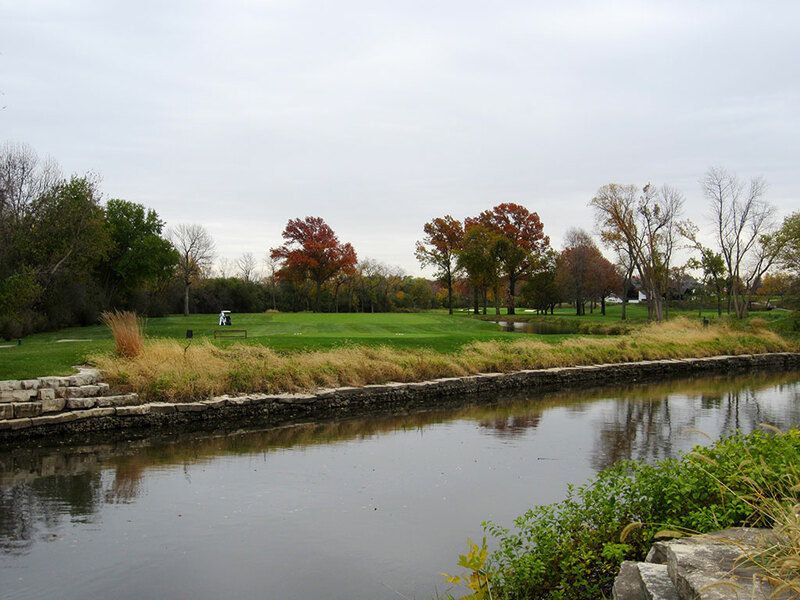 Course Website: Official Website - Visit Butler National Golf Club's official website by clicking on the link provided. 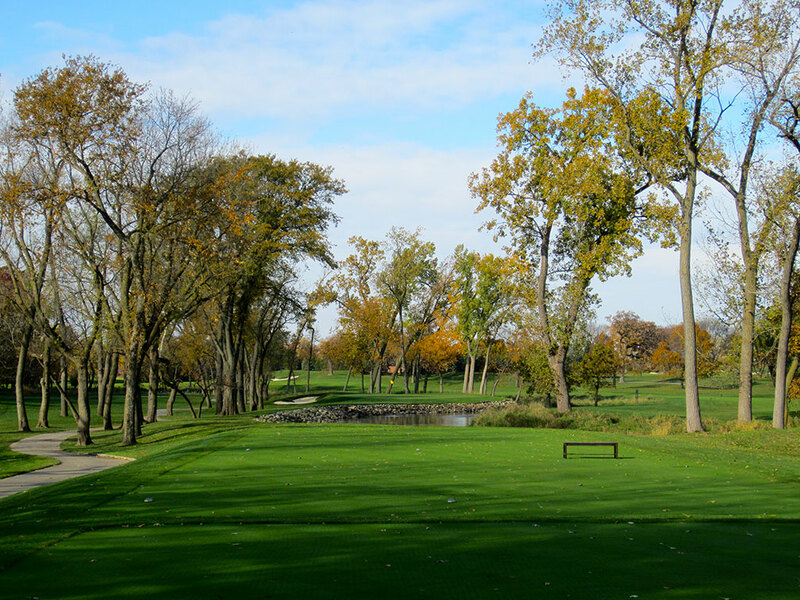 Accolades: Ranked 4th in Illinois on Golf Course Gurus' Best in State list. What to Expect: Butler National is a man’s course; literally and figuratively. 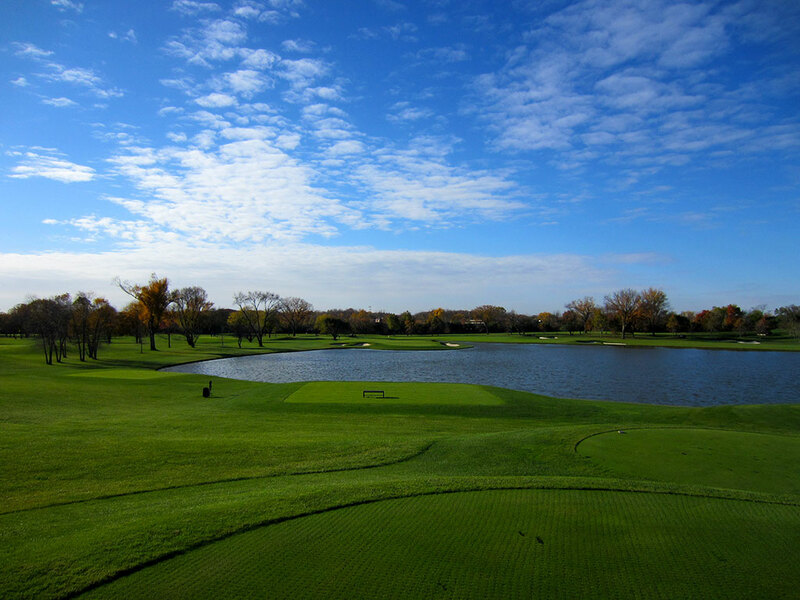 The men’s only club tips out at over 7500 yards (Par 71) and is well known as having a higher stroke average than the U.S. Open one year when Butler National was the host of the Western Open. 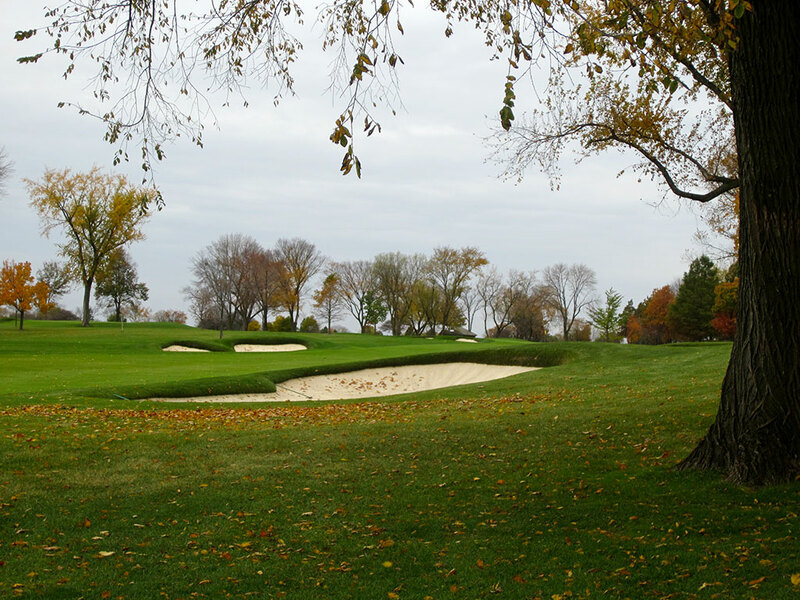 The USGA would love to host a U.S. Open at Butler due to the challenging layout, proximity to a major city, and large clubhouse that could handle the number of people necessary for such an event. The membership overwhelmingly voted in favor of remaining a men’s-only club again in November 2012; a decision that eliminates Butler from consideration for any major tournament. The course itself is mostly flat and features deep bunkers, forced carries over water, and oodles of length. The fairways are mostly tree lined but feature wide enough corridors to comfortably swing away with your driver. The conditioning of the fairways and greens is nothing short of immaculate and the caddies are well trained at this club that encourages walking but permits carts. The par threes are extremely demanding with long carries over water while two of the three par fives tip out over 600 yards. 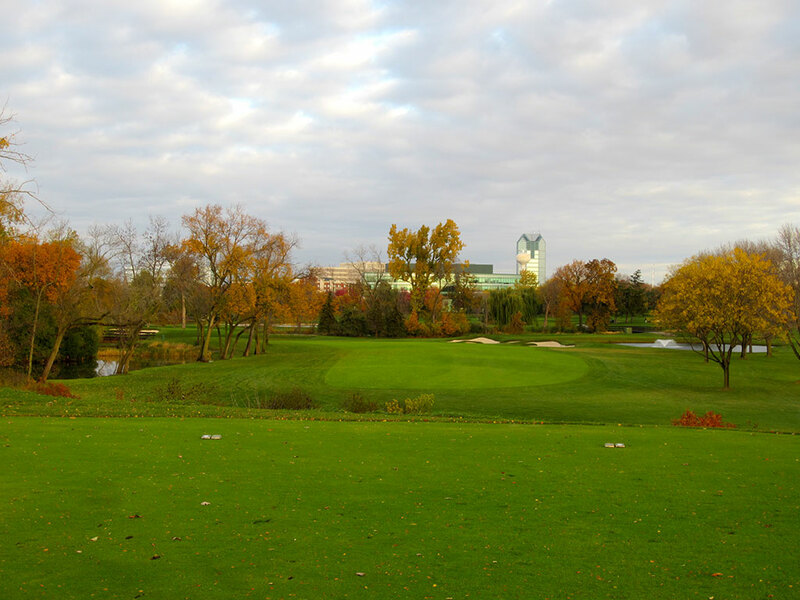 The surroundings lack inspiration with views outside the perimeter of the course consisting of corporate buildings and the layout being strong for what Fazio chose to do with the property, but the natural terrain itself lacks for a course so highly touted. 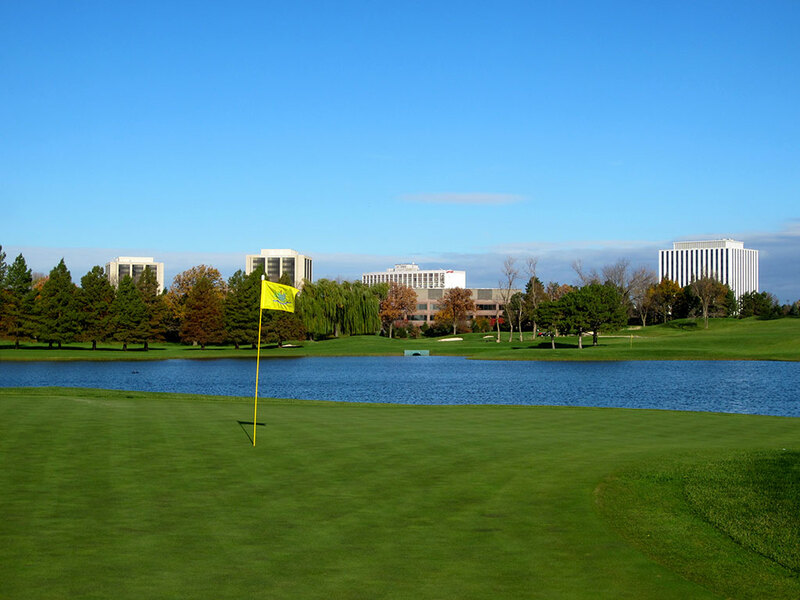 Overall, Butler National is a strong golf course built with the premis of hosting tournament golf; something that unfortunately won’t happen with their current membership policy. 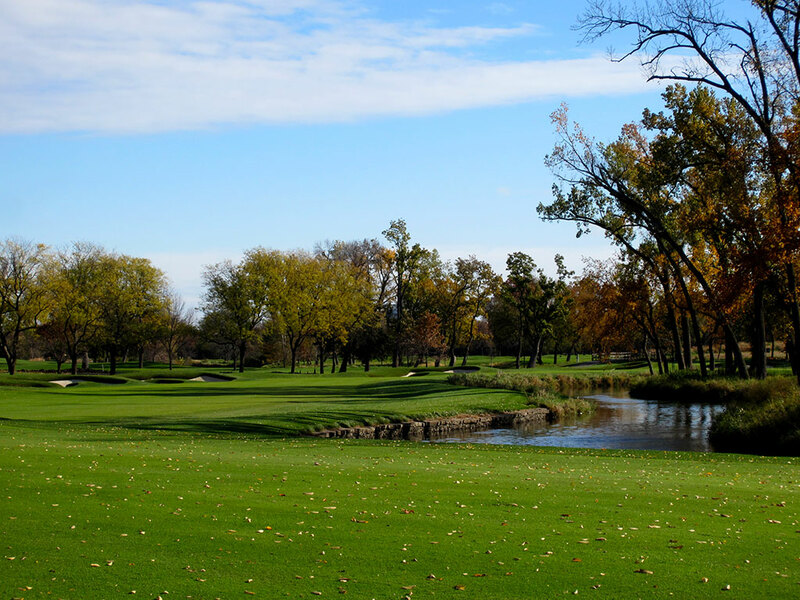 Signature Hole: 18th Hole – 484 Yard Par 4 – Championship caliber courses often finish with strong par fours and Butler National fits the mold perfectly. The reverse 'S' shaped hole offers little opportunity to cut distance off this brute. Playing up the left side will shorten it a bit, but brings the water left of the green more into play. A power fade off the tee sets up a good angle to the green but likely a 200+ yard approach. The signature hole should be reminiscent of what players think of when they are done with the course and Butler is no exception; long and difficult but fair. Best Par 3: 5th Hole – 227 Yards – Hitting a green from over 200 yards out is a stout challenge for most any golfer; but surround the green with water and there isn't a golfer on the planet that isn't shaking in their boots at least a little. Butler’s first par three is a treacherous beauty that sets the tone for the other par threes you'll face. If you aren’t comfortable hitting long shots into par threes guarded by water, you'll never get comfortable at Butler National. 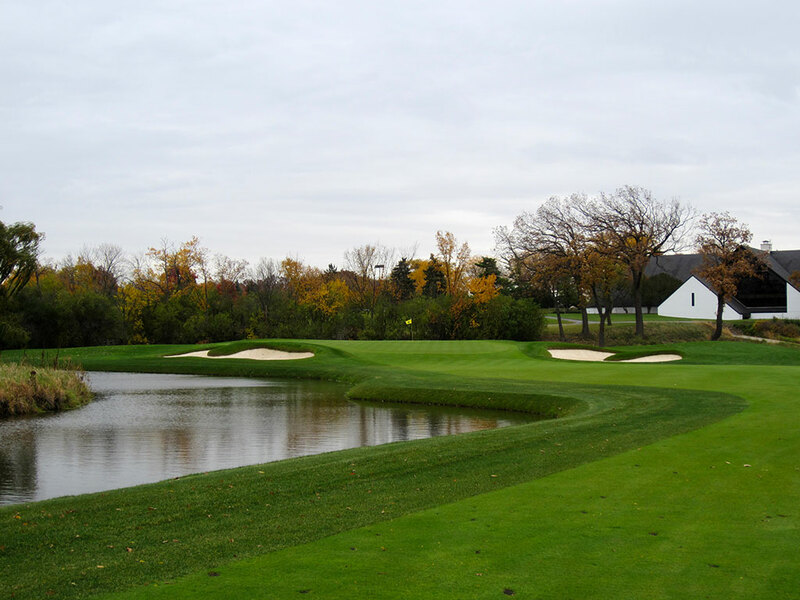 Best Par 4: 12th Hole – 492 Yards – This stout par four was originally a par five but was converted in order to meet Butler National desire to knock a stroke off par. The crowned green and 'U' shaped bunker on the left add character to the challenge. 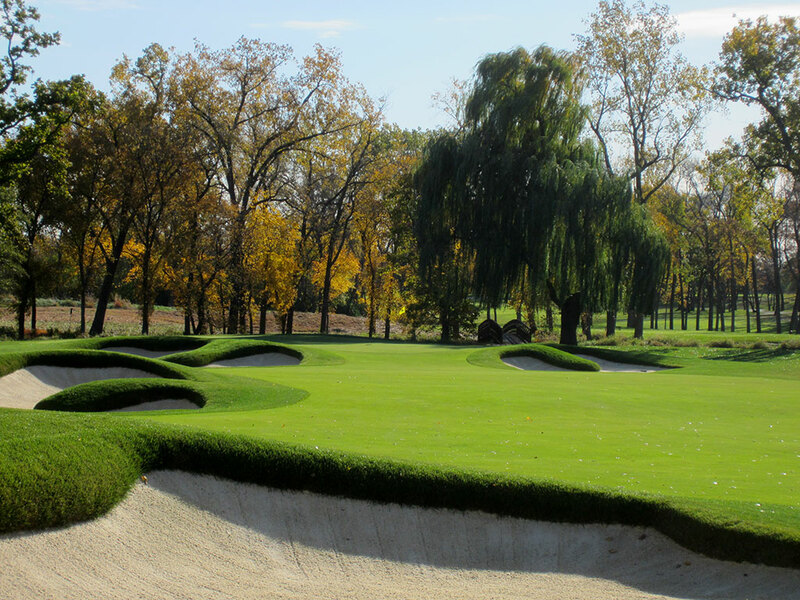 Best Par 5: 7th Hole – 623 Yards – Fazio's flare is prominent on the 7th hole when examining the shape and character of the bunkers. This long par five doglegs hard towards the end and gives players the opportunity to cut off some yardage if you are willing to challenge the right side of the hole. Water and trees lurk to the right while there is safety to the left; and even a hill that will help work balls back towards the fairway. The stylish bunkering and hole shape are what make this hole a special one to play. Birdie Time: 1st Hole – 375 Yard Par 4 – Sub 400 yard par fours are nearly extinct at Butler, so take advantage of the first hole and get under par quick. Hitting 3-wood off the tee will still leave you a wedge into this slightly elevated green protected by water in the front. At such a short approach distance, dunking it in the aqua or in a bunker should be the least of your concerns. As long as you find the fairway off the tee, take advantage of this short hole by being aggressive and hopefully carding a birdie. 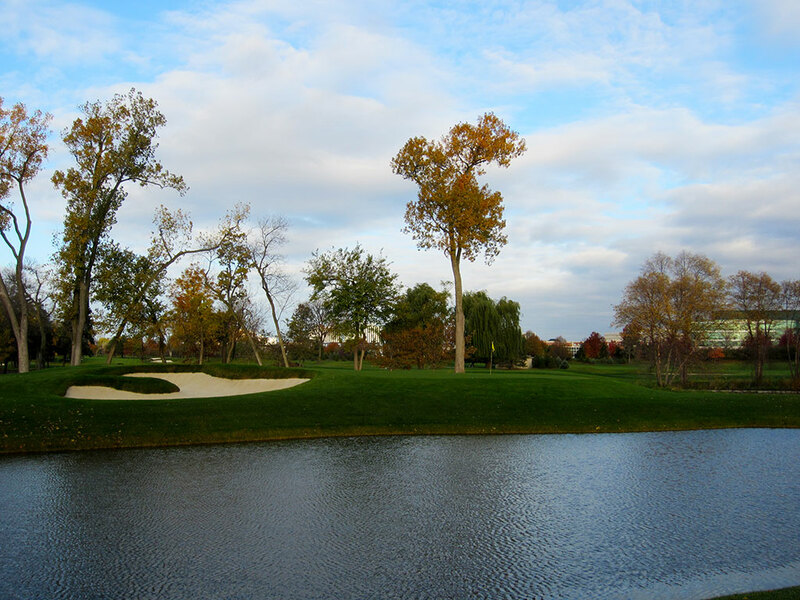 Bogey Beware: 8th Hole – 214 Yard Par 3 – While many people identify this hole as Butler National's signature offer, I identified it as the most difficult (and borderline unfair) hole on the course. 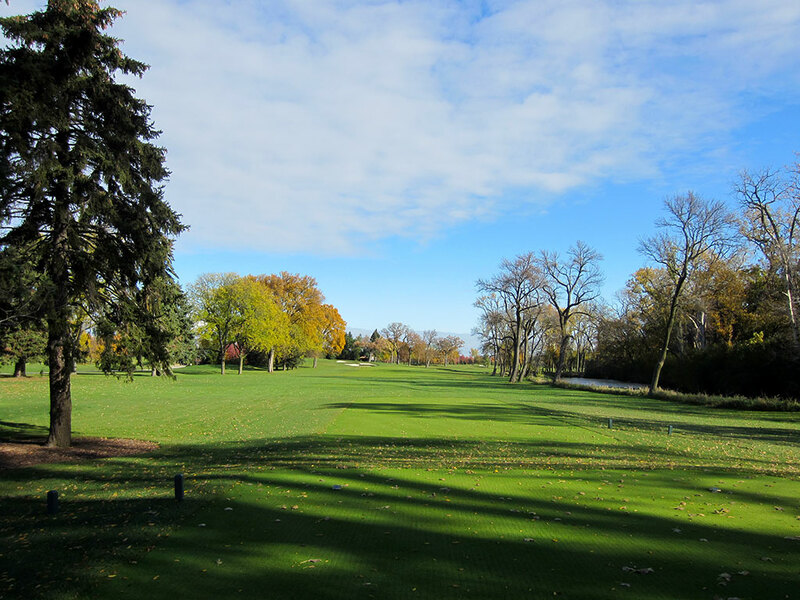 From the back tee, players must navigate a tight chute between the trees where shaping the ball isn't an option, only hitting it dead straight is. With overgrown trees encroaching the playing area and water in front of the smallish green, this is an extremely difficult green to hit in regulation and a brutal test.